I recently discovered the watch brand Shore Projects and I can’t believe I haven’t covered it before. The Shore Projects style is inspired by the beauty of the British seaside, resulting in timeless, casual and classic designs. What I love most about this brand is that they’ve come up with a very innovative concept, that offers interchangeable straps that you can easily clip on and off, depending on your outfit. The Shore Projects offers a huge variety of watch faces and strap options to choose from, anything from colorful rubbers, to classic leathers and pretty mesh designs. I ordered two gift boxes, one for me and one for the boyfriend. A box consists of 1 watch face with 3 interchangeable straps. 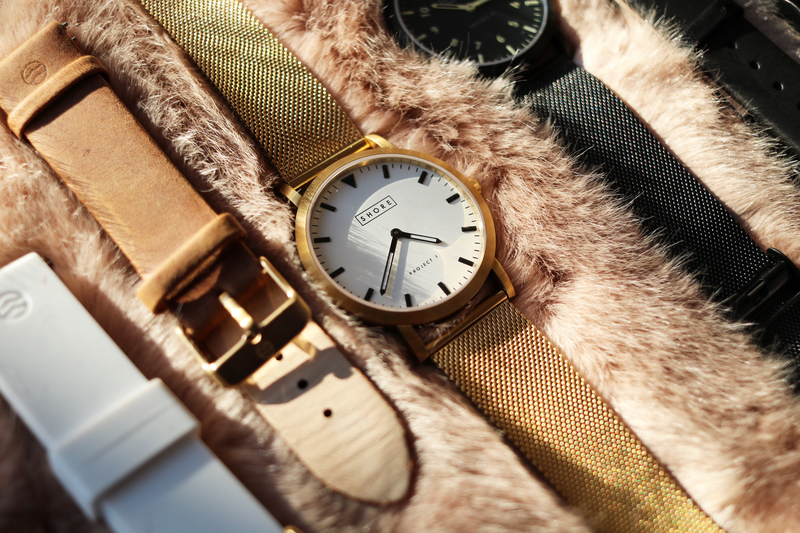 For myself I picked a white face with a golden outer ring combined with a golden mesh strap, a camel suede strap and a white rubber strap. And since my boyfriend likes everything black, I got him a black face with a black outer ring and a black mesh, leather and rubber strap. Although his straps are all black, each one completely changes the feel of the watch. Usually I hate changing wrisbands but their system is so easy that it takes only a split second to swap the straps around. Since the boxes arrived I found myself snapping a new one on every other day, depending on my mood. My favorite is the all gold look, which I’m currently sporting. Posted in Fashion, JewelryTagged Abersoch, Giuseppe zanotti, hillary monk, interchangeable straps, leather skirt, Reiss Fashion, Shore projects, WatchesBookmark the permalink. Love the watches and how you can change up the bands every once in a while! Amazing!!! this wathc is soo beautiful dear! 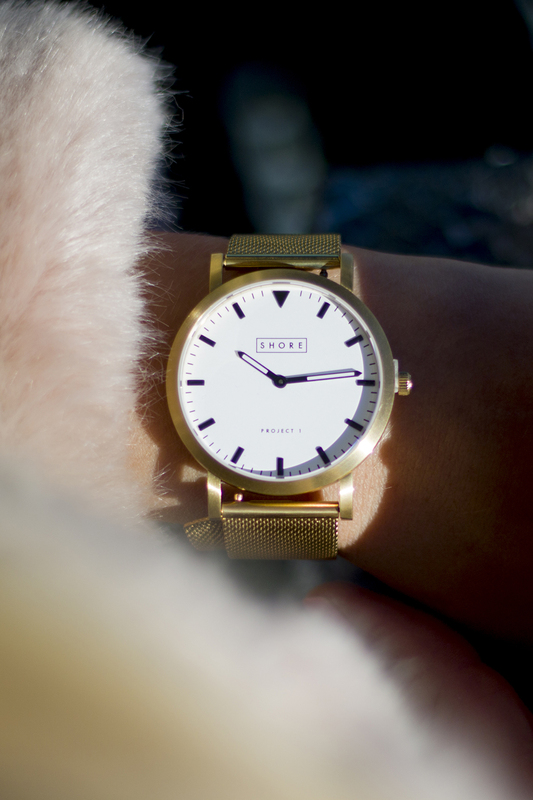 Hi Merel, love your watch! You have a interesting blog. Visit mine if you want. They’re so beautiful! I’d love one though unfortunately just bought a new! I can look at watches for ages, never gets boring, there’s so many gorgeous ones! Love the watch and the shoes! 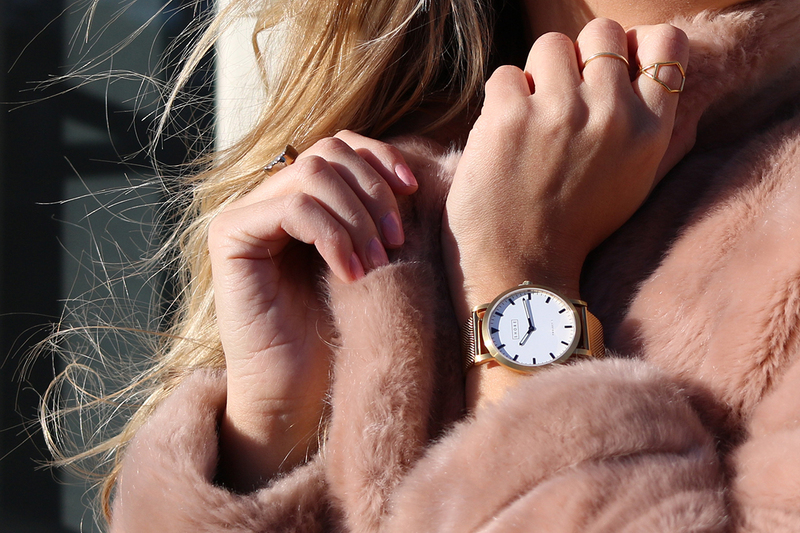 Cute watches… but your jacket is ah-mazing! Just love it! Hope you’re having a wonderful weekend! You look so stylish! Loving the watch and shoes! Also, your blog is great. The watch looks very chic! I really love the pictures! So pretty! all of the details in these photos are so pretty and perfect together. I love colors, textures and lights. You look very pretty. The jacket is perfect. What beautiful watches! I love ones with interchangeable straps, makes it all the more unique. Am loving the glitter shoes by Giuseppe Zanotii. 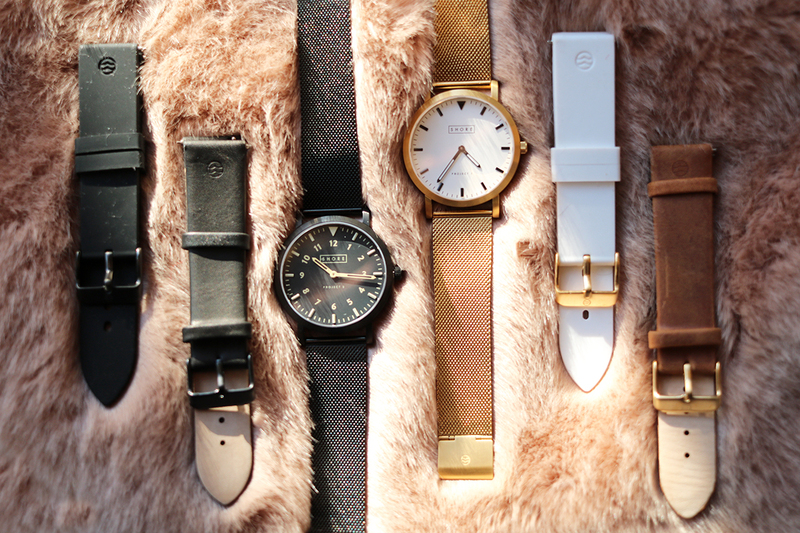 The shore watches are so stunning and I love that they have interchangeable straps. You look stunning! Very classy and beautiful watches, thanks for sharing! How gorgeous!!!! Love the fur coat babe! Great styling! Have a great week! Wow gorgeous ! Love your fur jacket ! the gilter shoes are to die for !! The watches are beautiful and timeless! Missed your posts, so glad you’re back! Loving the watch, so timeless. And those shoes? Ah-mazing! Oh wow, your watch is stunning, and I’m loving your shoes! Very cute. 🙂 Love it with those shoes! Ah what a great blog you have! Beautiful photos, watches and those shoes!! That watch & those shoes are SO gorgeous! Compliments on the blog!